CIRCULUS, CO., Ltd. has developed a revolutionary new technology called MEDICOAT that allows for round the clock antimicrobial coverage without daily maintenance. This so-called “coat and forget" technology provides enhanced sustainable antimicrobial defense at a much lower cost to business owners. MEDICOAT de-activates the influenza virus in just 15 seconds, and it also neutralizes Staphylococcus aureus, E. Coli, and Bacillus subtilis. One test carried out in a major international airport in Japan found that MEDICOAT-treated surfaces resulted in a greatly reduced bacterial presence when compared with non-treated surfaces. This result was even detected 28 months after initial application. CIRCULUS will train clients on how to properly apply MEDICOAT, with local staff and technicians taking specialist training on MEDICOAT detection techniques to ensure quality control. It is billed as a benefit to local businesses and communities in both a public health and economic initiative. It can be applied directly onto anything from luggage racks to restrooms to information desks. 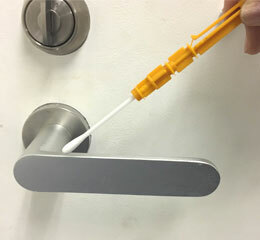 It can either be sprayed or applied using a cloth to affected areas, such as door knobs. The nano-sized filler particles can seal micron-sized fissures that are undetectable to the naked eye, and a standard surface resistance meter can be used to make sure the surface has been adequately coated. A lot of money is spent on reactive solutions for hospital-acquired infections and communicable disease in public. However MEDICOAT can be a proactive solution to these threats. 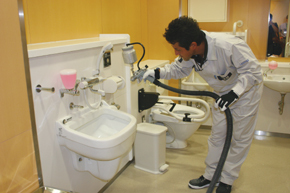 It also lowers the cost for facility managers, who don’t have to face large costs for hiring 24/7 decontamination specialists. solution for combating HAI grounded upon the solid notion of preventive strategies. 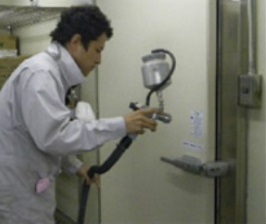 the monumental costs of hiring round-the-clock personnel tasked with decontamination efforts. MEDICOAT featured in AVIATION SECURITY INTERNATIONAL. 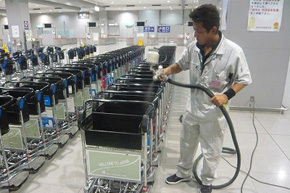 CIRCULUS personnel shown applying MEDICOAT to airport luggage carts. 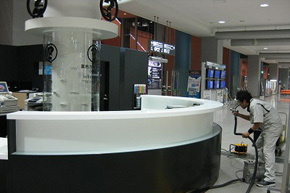 Application of MEDICOAT to information counter at KIX. acquired illnesses in emergency hospital. strategic platform to target with MEDICOAT. 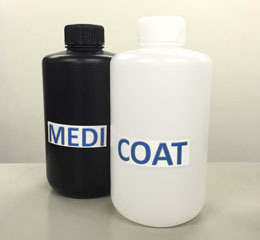 MEDICOAT consists of two coating solutions. Apply coating solution No. 1 to a clean cloth. Pour solution No. 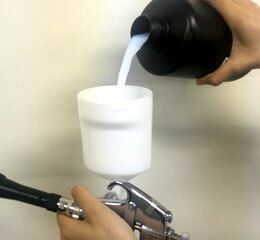 2 into spray gun canister. surface has been properly coated. In order to maximize the utility of MEDICOAT’s physical and substance properties, our photocatalytic particles are specifically designed to a uniform size pattern of 1-10 nm. These nano-sized filler particles effectively seal micron-sized fissures on surfaces that are undetectable to the naked eye. MEDICOAT is effective under both diurnal and nocturnal conditions. This is achieved via a unique blend of photocatalytic titanium dioxide (for daytime/light condition use) combined with silver and platinum nanoparticles to offer antibacterial protection under minimum/no light conditions. Nano-coating is invisible and cannot be observed without the aid of a microscope. Therefore, the task of confirming where a nano-coating material has been successfully applied is exceedingly difficult. In order to enhance the capability of clients to check for where the nano-coating has been applied, MEDICOAT has been specifically engineered to be detectable with a standard (electrostatic) surface resistance meter. 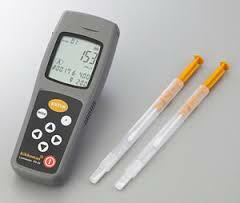 ・Effectively inactivates the influenza virus in 15 seconds (third party testing carried out by Shokukanken Laboratory). ・Neutralizes Staphylococcus aureus, E. Coli, Bacillus subtilis (third party testing carried out by the Department of Environmental Sciences, University of Shizuoka, Japan). 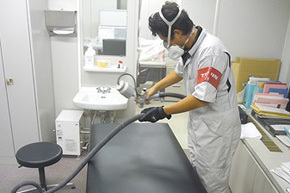 ・After coating various surfaces in a major international airport in Japan, the MEDICOAT treated surfaces had a significantly reduced bacterial load in comparison with non-treated surfaces even after 28 months from initial application (third party testing carried out by the Department of Environmental Sciences, University of Shizuoka, Japan). Initially, CIRCULUS will provide training and expertise, along with nano-coating materials and instructions on how to properly apply the MEDICOAT system. 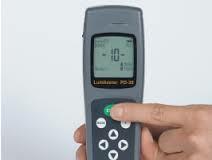 Additionally, local staff and technicians will undergo specialist training on MEDICOAT detection techniques utilizing surface static resistance meters. Training and implementation will last a predetermined period of time to ensure proper quality control. Upon its successful completion, technology transfer and active collaboration between CIRCULUS and local partners will follow, enabling the full exploitation of MEDICOAT’s unique properties into novel products and processes. It will benefit local businesses and communities in an economic and public health context, respectively.